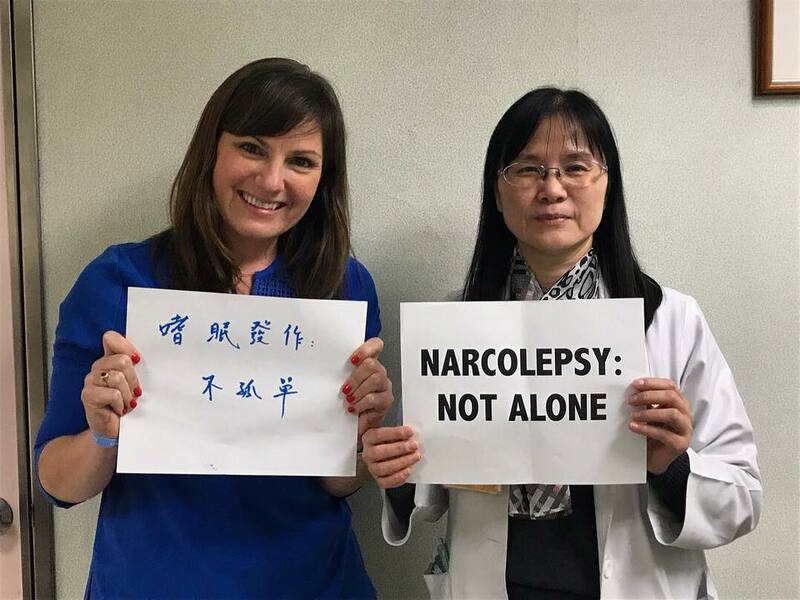 Taiwan Joins Narcolepsy: Not Alone campaign!! 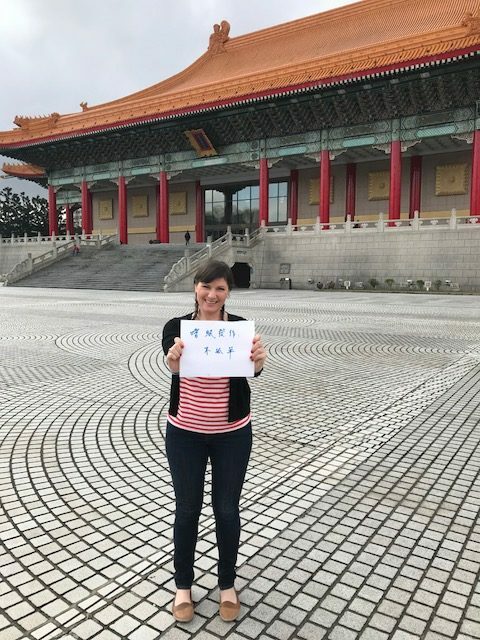 Over the winter holidays, I was thrilled to visit Taiwan and meet with a leading Taiwanese narcolepsy researcher and clinician, Dr. Yu-Shu Huang. 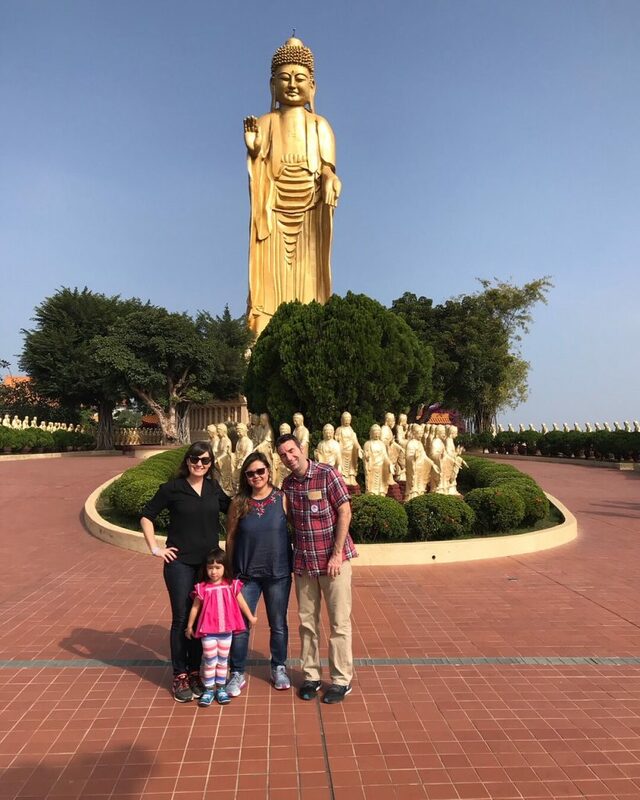 I was in Taiwan for an amazing ten-day vacation with my brother, sister-in-law and niece. 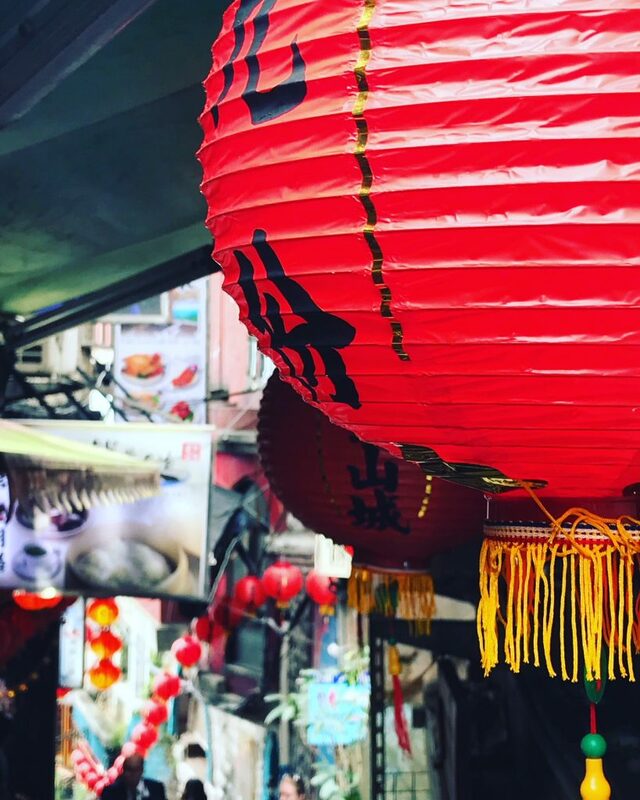 After a long sleepless journey to Taiwan, I was so glad that we arrived in Taipei at their nighttime, so I could easily take my nighttime meds and go right to bed upon arriving at our hotel. The next morning, I had fairly good energy. 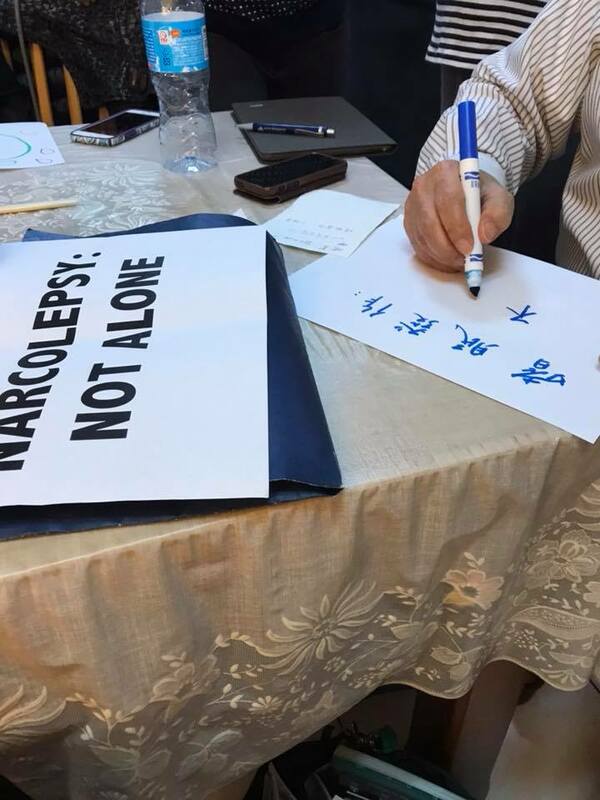 My sister-in-law and her parents kindly helped me to translate Narcolepsy: Not Alone over breakfast. 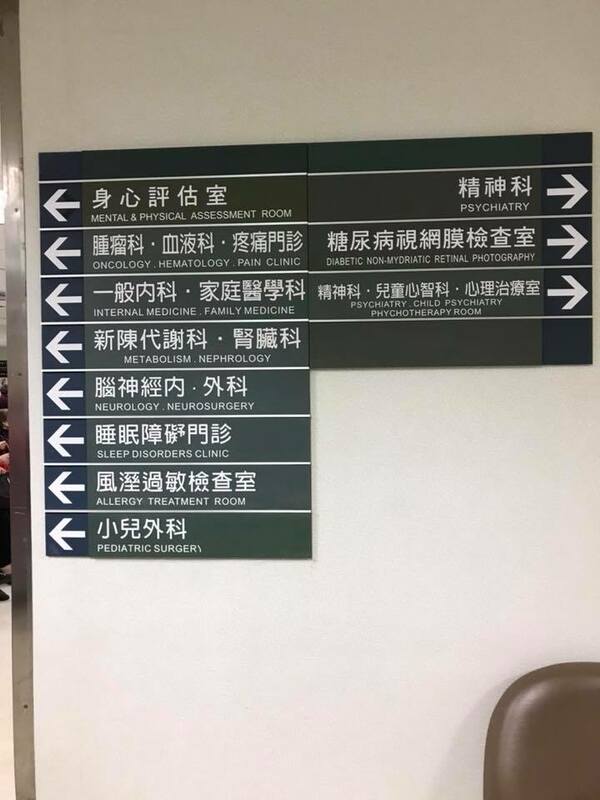 That afternoon, we traveled to the busy Chang Gung Memorial Hospital in Taipei to meet up with Dr. Huang. My eyes widened walking past the pharmacy section and toward the elevators. 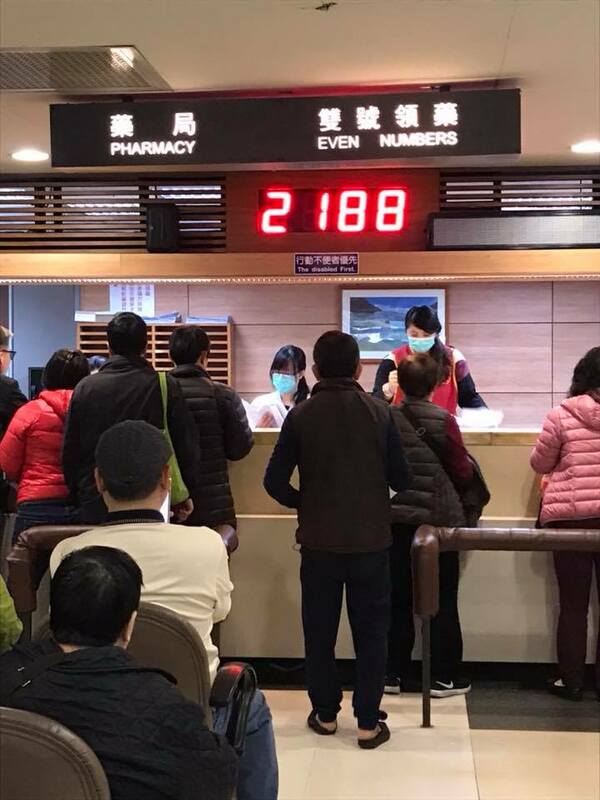 Seeing inside a hospital gave me an insider’s glimpse into everyday life in Taiwan and I imagined that I was visiting as a person with narcolepsy for treatment and care here. Dr. Huang’s practice was busy, but she was so extremely kind to meet with me and spend a good amount of time chatting during her packed day. 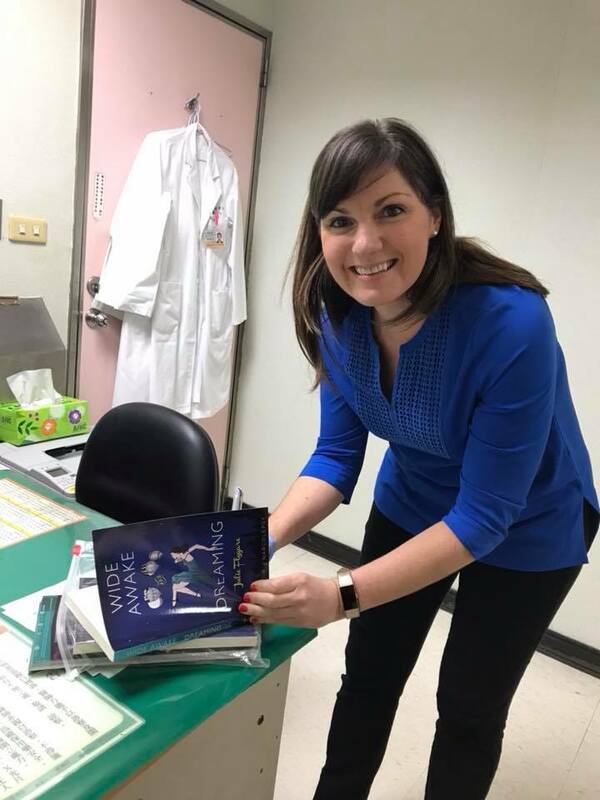 I enjoyed hearing about her recent research findings and about how she tracks many of her patients with narcolepsy from childhood to adulthood. 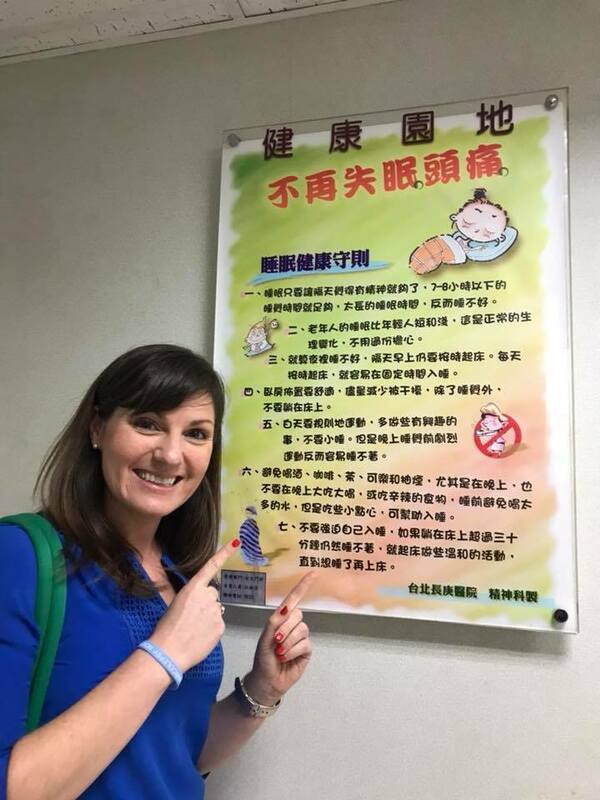 She shared that a Taiwanese patient group had recently started too! 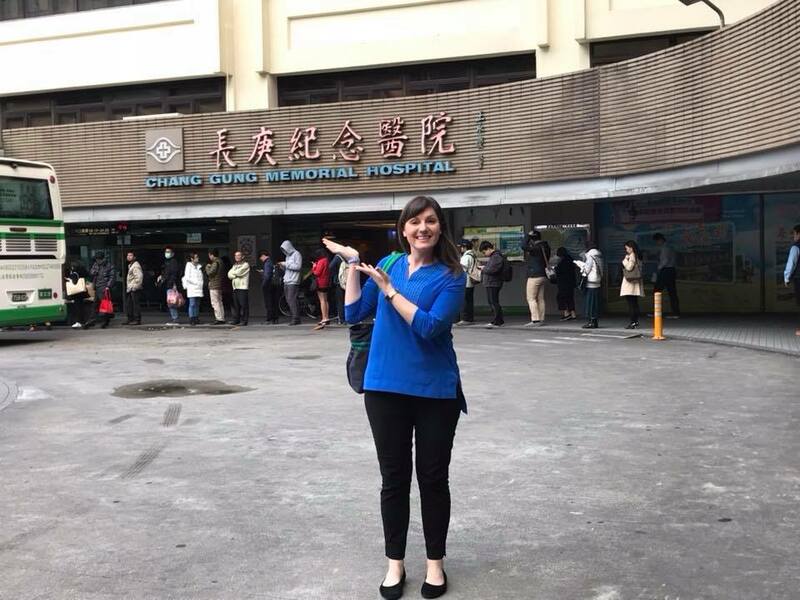 At the same time, I was saddened to learn that people in Taiwan don’t have access to all the same treatment options we have in the U.S. 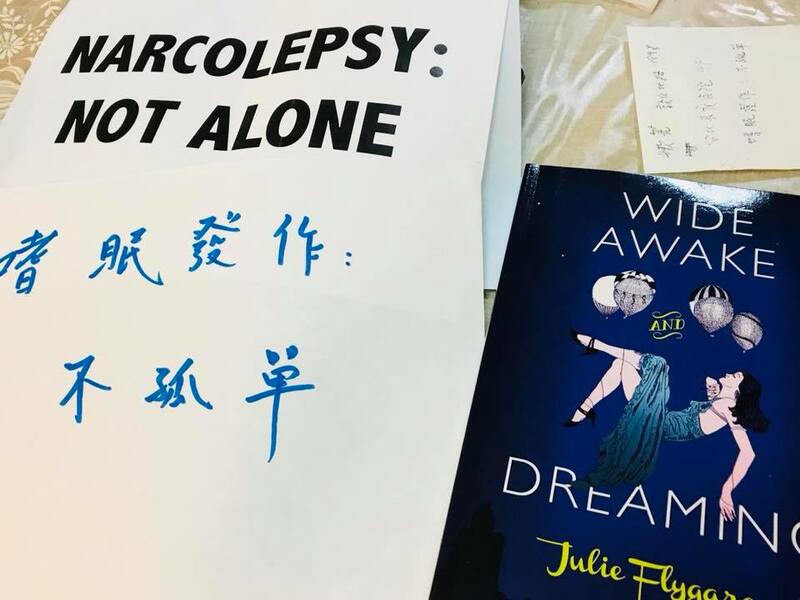 I gave Dr. Huang signed copies of my book, postcards, stickers, bracelets, pens, etc. She thought her patients will like these! And of course, we took a Narcolepsy: Not Alone photo! See more campaign photos from around the world at: www.narcolepsynotalone.com. 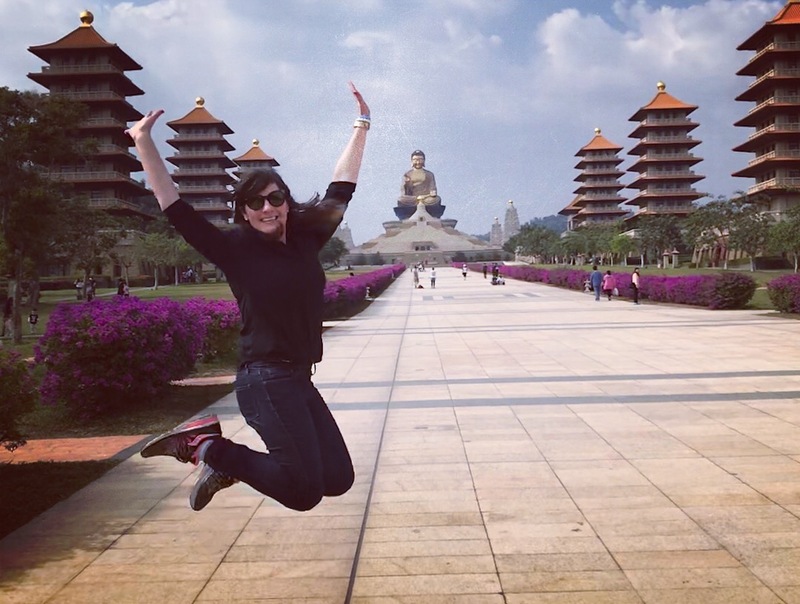 All in all, it was truly an unforgettable trip to Taiwan. 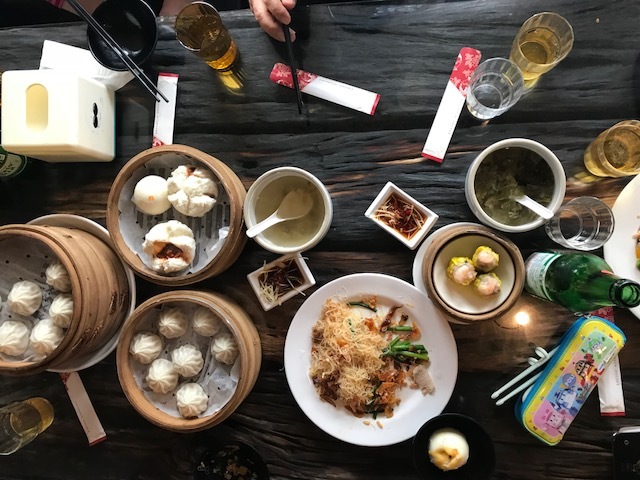 The vegetarian food was AMAZING, the desserts were DELICIOUS, the temples and diverse coastlines we visited took my breath away. Also, getting to spend 10 days with my family was simply the best!